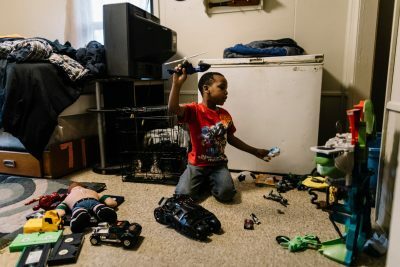 CAIRO, Ill. — For years, residents of public housing complexes here were stuck living in aging and neglected buildings with inoperable heat, leaky ceilings, broken windows, mold, mice, roaches, and frequently clogged toilets and sinks. 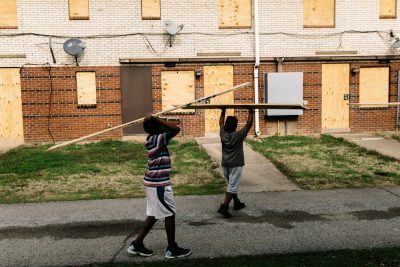 While HUD’s moves address residents’ repeated complaints about neglect, the agency is falling short in meeting the needs of those displaced, experts and some residents say. 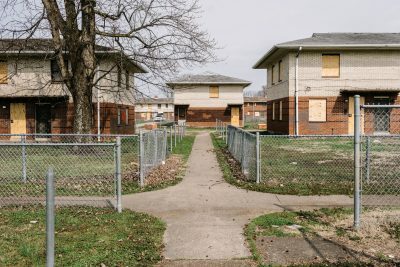 HUD’s solution in Cairo and Thebes is to offer residents spots in other public housing units or give them vouchers that subsidize rent in the private market. The resulting mad scramble for housing, however, has been fraught with mixed messages and false hope, tough conversations and hard landings. 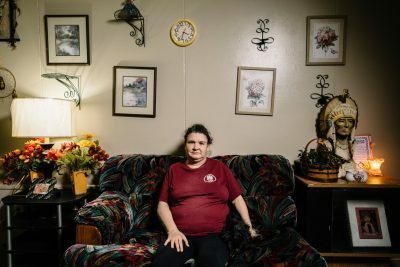 A scarcity of rental housing in the two towns means most families must relocate to other communities, where landlords are reluctant to participate in the voucher program commonly known as Section 8. Some residents also face increased rental and utility costs. In the best circumstances, residents with limited resources must arrange rushed moves and acclimate to new neighborhoods, in some cases, across state lines. In the worst, their social networks and support systems will be torn apart in the process. “The chances of people ending up in better situations are not great,” said David Omotoso Stovall, a professor of educational policy studies and African-American studies at the University of Illinois at Chicago. 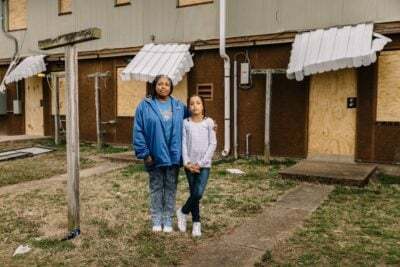 When people are forced to quickly relocate without adequate supportive services or assurances of improved living circumstances, “it’s a structural failure of HUD,” said Stovall, whose research focuses on the influence of race in urban education, community development and housing. Communities are also left suffering in the wake of HUD’s mistakes. 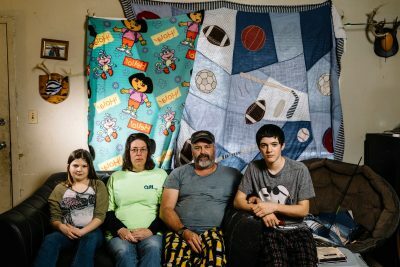 The Cairo school district, which has a student count of just more than 350, has lost a fourth of its students in the past two years due to the housing crisis, and will likely lose more before the start of school next fall. Thebes stands to lose its largest utility customer. Thousands of housing authorities around the country have similarly aging complexes, many of which are degrading beyond the point of repair. But small, economically destitute places like Cairo and Thebes are often unable to leverage either the political will or private capital necessary to replace what’s lost. HUD spokesman Jereon Brown said the agency recognizes that “moving is one of the most traumatic life experiences” and carefully weighed “a variety of housing solutions” before deciding to close the four public housing complexes. The finances of the Alexander County Housing Authority, which includes both Cairo and Thebes, were precarious before HUD took over its operations in early 2016. 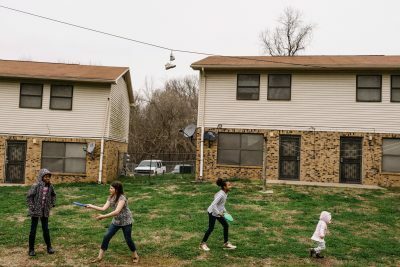 Of the about 130 families that had relocated from the two Cairo complexes — Elmwood and McBride — as of the end of March, about two-thirds of them have landed in other cities, particularly Carbondale, Illinois, and Cape Girardeau, Missouri — both about an hour away. The process is beginning anew in Thebes. Below are the stories of six people affected by the housing crisis. Earlene Lyons was thrilled to get a public housing apartment in Cairo about four years ago. Lyons liked her unit at Elmwood, with the exception of the roaches and three spontaneous kitchen fires blamed on faulty electrical wiring — problems she was willing to overlook for the sake of stability. When HUD announced plans to close the Cairo complexes, Lyons was disappointed but she jumped at an opening at Sunset Terrace, a public housing building in Thebes, about 20 minutes away. Lyons had lived in Thebes before, and her best friend lived in the unit next door. Plus, HUD would pay for the move. But the transition was harder than she imagined. She has custody of her 6-year-old grandson, Jamarion, who is autistic. He had to switch school districts and, though behavioral issues were never a problem before, he got in trouble at school shortly after he transferred. “They said he threw something at a student,” she said. She worries how the next move will affect Jamarion. “He’s not good with change,” she said. After receiving custody of Jamarion when he was a baby, Lyons said they were homeless for several months, forced to bounce from couch to couch among relatives. Prior to that, she spent close to a year living at a women’s shelter. One of Lyons’ biggest fears is that if her home life becomes too unstable, child welfare services could step in. During the 20 years she lived in Cairo, Myra Rayford said her family didn’t always have enough to eat. She struggled to hold down steady work as she often lacked reliable transportation. Her McBride apartment was so infested that she had to spray Raid around her youngest child’s bed at night, concerned a roach would crawl in his ear. She worried about her children’s safety when they played outside because of gun violence and other crimes. In May 2016, well before the complexes were designated for closure, Rayford was among 30 residents who sued the Alexander County Housing Authority alleging persistent poor living conditions violated the civil rights of housing authority residents, most of whom are African American. A settlement agreement stemming from that lawsuit provided plaintiffs with cash settlements of about $10,000 each. It also provided them access to vouchers and relocation expenses, which HUD extended to all families living in Elmwood and McBride. While HUD’s decision to close the complexes drew vocal condemnation in town, Rayford and many other residents privately wanted out. They hoped for a place that offered more opportunities for their children in the long run. Last August, she left Cairo. But wanting to go didn’t make the transition any less jarring. 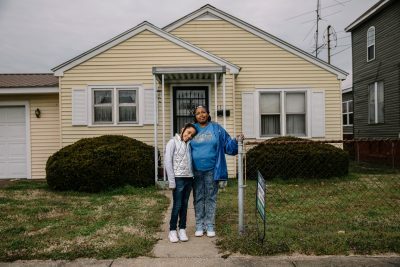 The family landed hard in Cincinnati, Ohio, where Rayford grew up and her older sister lives. Rayford had to juggle apartment and job hunting, enrolling her children in school and transferring their benefits to a new state. “It was rough in the beginning,” she said. The family’s decision to relocate meant Rayford had to separate from her 18-year-old daughter, who moved in with her father to finish her senior year in high school in Cairo. It also meant leaving behind a tight-knit network of families that lean on one another for support and friendship. By the time she could place her 5-year-old on the long waiting list for pre-kindergarten in Cincinnati, all the slots for low-income families were already filled. With her son home during the day, Rayford said she’s only able to work part time at night at a tax preparation office, while her girls watch their little brother after school. She plans to look for full-time work when he starts kindergarten this fall, but she doesn’t know the city well enough yet to feel comfortable leaving him with someone else. A few months after they moved, Rayford found a two-story townhome for the family. That meant the girls had to switch schools again. But Rayford said they are adjusting well, and the whole family loves their new house. It’s a big improvement, she said, and the family is growing more comfortable with their new home city, too. Rayford said she hopes Cairo sees better days. She’s going to make sure her family does, regardless. When public housing complexes close, it’s not just the housing resources a community loses. Thebes, for instance, may soon be searching for a new volunteer fire chief. Reuben Hull, who lives at Mary Alice Meadows, one of the complexes designated for closure, has held that title since 2010. He’s often the first on scene at house fires and car crashes. He’s kept heart attack victims alive waiting for the ambulance to reach this remote village. About five years ago, Hull helped pull a woman to shore near Thebes after she fell from a bridge in Cape Girardeau and drifted eight miles down the Mississippi River. Hull doubles as the neighborhood Mr. Fix It. Several residents at the complex, many of them single moms, mentioned that Hull is the one they call when their furnace won’t kick on or the toilet gets stopped up. They say he responds faster than the housing authority, especially lately. “I’ve always wanted to make sure I took care of people,” Hull said. Hull was raised by his grandparents on a 40-acre plot just outside of Thebes. Their restroom was an outhouse; meals consisted of garden produce, fresh eggs and farm-raised pork. They kept warm at night by a wood-burning stove. Hull and an uncle helped his grandparents upgrade to indoor plumbing in the late 1990s. What constitutes adequate housing conditions is subjective, he said. Hull lives at the complex with his wife, Rebecca, and three of their children. He delivers equipment to restaurants for a living; she works in a packaging company in nearby Missouri. From his couch, Hull can hear turkeys gobbling in the woods. He loathes the idea of trading the sounds of nature for that of nonstop traffic. “They’re going to have to drag us out of here kicking and screaming,” Rebecca Hull said. A review by an architectural firm last fall showed that the Mary Alice Meadows complex has serious structural issues throughout. The firm estimated it would cost almost $650,000 to fix 10 vacant units — nine at Mary Alice Meadows and one at Sunset Terrace next door, where someone ran a car through the front door. That price tag did not include testing and remediation of any environmental hazards or repairs to other units, which HUD says would substantially increase renovation costs. HUD posted the properties in Thebes for sale in February and sought a private buyer, but none had responded as of the agency’s late March deadline. Some units in Thebes are in worse condition than others. In India Williams’ apartment in Mary Alice Meadows, there’s mold along baseboards and holes in the walls. The window in her bedroom is broken; the heat and toilet have been out of commission for weeks at a time over the past few years. Williams represents a number of Thebes families who say they were overlooked for months while HUD focused on Cairo. 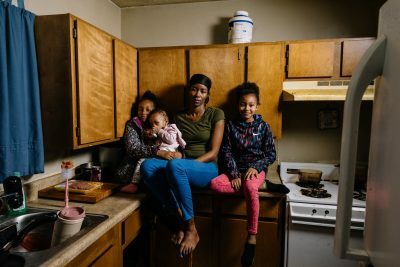 A year ago, Williams stood up at the meeting HUD convened in Cairo and asked when help would arrive for the residents of Thebes, where she and her three young girls live. It was another 10 months before Thebes residents were offered access to relocation services. This past winter, Williams said she was without heat for about a week. When she reported the issue, housing authority workers brought her two space heaters. But a maintenance worker didn’t show up to repair her furnace for another two weeks, she said. “We piled up in this living room and laid up on this couch under blankets,” Williams said. When she mentioned the issue to Reuben Hull, one of her neighbors, he came over and fixed it, she said. A drug epidemic has taken root here, primarily heroin and methamphetamine. On March 16, Williams said she lost one of her best friends, a 28-year-old mother of two, to an overdose. She worries one of her children might step on a hypodermic needle, a concern raised by several parents. She said her friend’s death sealed the decision in her mind that it’s time to go. 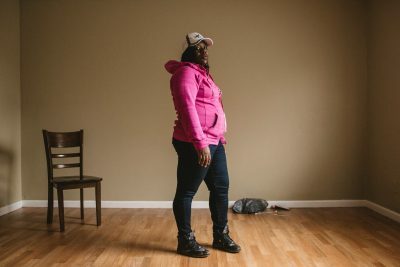 After Williams left her public housing unit in Cairo eight years ago, Thebes offered a unit in better condition, and a quieter place to raise her children. But in the past few years, she said, the village and the complex where she lives have deteriorated. Her future is in limbo. Once HUD announced that the Thebes residents had to move, Williams acted quickly to pick out a home in Cape Girardeau. She was thrilled when she found a six-bedroom house that sits across the street from a grocery store. But soon after, she got a call from the landlord. The house was rented to someone else while she waited for her paperwork to be processed by the housing authority. Williams was deflated. She knows the transition will be difficult for her girls, which is why she’s eager to get it behind them. “I’m scared, but mamma said there’s nothing to be worried about,” said her daughter, Ivyana, 7. After Moving Out, She Was Evicted From Her New Home. Then She Moved Back In. 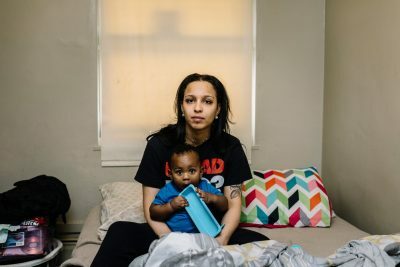 Koree Simelton, 21, was pregnant with her first child when HUD announced plans to move everyone from the complexes in Cairo. She was living with her parents at the time, having moved back in after suffering a basketball injury in college and taking a break from school. But because Simelton was not considered the “head of household” on the family’s lease, she was not eligible for a voucher or moving expenses. Even so, HUD made a special effort to help Simelton find a place. She moved to Herrin, about an hour away from Cairo, just a few weeks before the baby was born. Simelton liked her new place, though she struggled to furnish the apartment after bringing baby Joshua home. 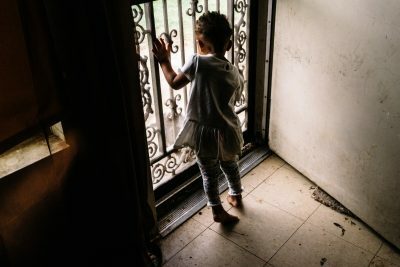 For weeks, about all she had at her new public housing unit was a bed for herself and a crib for him. The living room was bare. Simelton said she enrolled in a job placement program, but transportation was an ongoing issue that delayed the process. She paid $1,000 for a car on Facebook, but it broke down after only a week — and she wasn’t able to get her money back. There’s bus service in the small town she was living in, but catching a ride requires more careful planning than it does in a big city with more regular routes. Simelton said it was hard for her to be that far from her own mom, who was unable to visit regularly. Then she got behind on rent. She was evicted in February. At the time, she owed the housing authority a couple hundred dollars in rent, utilities and late fees. But when she was evicted, she was charged an additional $250 in attorney fees, bringing the total she now owes to close to $550, according to court records. Simelton said she could have come up with the money, but she was frustrated and overwhelmed living on her own, juggling a baby and new environment. She didn’t realize the paperwork she signed at the courthouse means the eviction will show up on her record during a background check, which could severely limit her housing choices in the future. She moved back into her parents’ apartment in Elmwood, which they all will have to vacate soon. Simelton and her mom, who did receive a housing voucher, are now looking for a place to rent together. Back in Cairo, she’s working full time as a clerk at a liquor and convenience store, sharing her mom’s car to get to and from work. Simelton said she’s setting aside money to pay off the late rent and court fees, aware they might haunt her when she’s ready to set out on her own again. Earlier this week, Terri Childs closed on her dream house in Cairo. It’s yellow with white shutters and has a garage where she plans to build a photography studio, a storage shed and a nice backyard for entertaining family and friends. Childs was devastated when she learned last April that she had to move out of her McBride apartment. She was determined not to leave Cairo, though. After HUD told residents they could stop paying rent, Childs combined some of that money, part of her 2017 tax refund and help from a few relatives to purchase the $15,000 home outright. The day the seller accepted her offer, Childs said she was “so excited I couldn’t sleep.” It's right around the corner from the elementary school where she’s worked as a teacher’s aide for about 24 years. “I want everyone to hear my story because I thank the Lord it ended up good and we didn’t have to leave,” she said. All told, 40 people who have left the public housing complexes in Cairo remain in town. Some have moved into the few remaining public housing complexes in the city, or into a new 10-unit complex that a private developer opened specifically to serve the displaced residents. Eight people, including Childs, have purchased homes or are renting to own in Cairo. Childs said the home she picked out is in good condition and ready for her to move in. It belonged to her former English teacher’s mom, and she’s confident it was well cared for. But she worries about how the exodus of people will affect those who remain. Childs said it’s been hard to watch children leave the school where she works. Miracle, Childs’ 9-year-old daughter, said she is a little sad about leaving McBride, but she’s excited about the new house because it means she will have a room of her own. As families move out of McBride, workers are securing windows and doors with fresh plywood. HUD says it’s to protect the safety of residents who remain from vandals and squatters, but it also gives the appearance of eerie abandonment in a place where people still live. Miracle shrugs it off, saying she doesn’t let it bother her. “We’ll be moving soon,” she said. 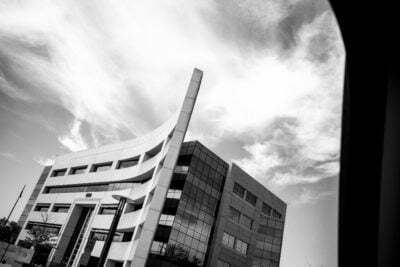 Do you live or work in public housing? Share your story at [email protected].